All of our members of staff are continuously trained to the highest possible standards of hair styling and care and customer service. Hair styling and fashion continuously evolve and we strive to ensure that our stylists are highly skilled in all the latest techniques and styles. Training is delivered by both the highly experienced members of our own staff as well as by industry professionals and celebrity stylists from the Redken Exchange. Celebrity stylists who have trained Cienté staff include Lee Stafford, John Carne and Chris Moody. Redken Exchange training takes place both at the salon as well as the Redken Exchange centres in London, Manchester, Dublin and New York. We also employ our own in salon training assessor from the Joshua Galvin Academy to ensure that our standards are independently verified. We also believe that all of our staff should be the very best they can be in every aspect of their lives, which is why we also use personal developmentexperts Oxygen Learning (see www.oxygenlearning.com) to promote confidence, fulfilment and high achievement in our staff members. 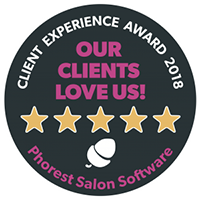 Our commitment to developing our employees' personal and professional skills, our excellent working environment and our world-class team mean that we offer highly sought after career opportunities to anyone who has the passion, drive and determination to make it as a Cienté stylist. If you think you've got what it takes and you are interested in a career with Cienté then please contact us.